My sister is lucky, as her application was one of the three visas approved for the entire past week before the system crushed, while mine, got stuck in the midst of processing, just short of pressing the “print” key when the system failed. Funnily enough, the above-mentioned 14 people under a tour group that submitted application on December 2nd, none of them have their visa ready. 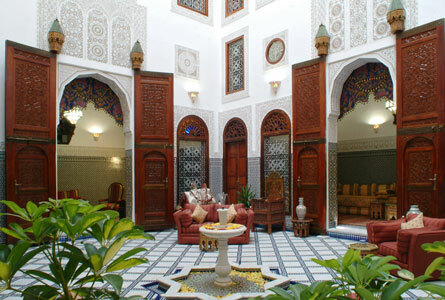 By 4pm on their departure date on the 16th, the tour manager is still anxiously waiting at the embassy in Kuala Lumpur, communicating back and forth with Moroccan officers face-to-face, and with his tour agency and clients via mobile phone. The clock is ticking, and hope is thinning. Despite repeated assurance from the embassy staff that they are trying their level best to solve the problem (which has dragged on for a week), the tour manager has to make a tough decision. “We are going to re-route the tour group to visit Spain-Portugal instead of Spain-Morocco. We have to bear enormous losses, from flights and hotel cancellation, and re-planning, but what to do? Clients’ satisfaction comes first,” the tour manager says dejectedly. Apparently, we are not the only people in the same predicament, another tour agency staff has also been coming to the embassy day after day this week, enquiring on the progress of visa issuance to no avail. “A lot of VIPs’ passports are stuck here, including a Chief Minister, Datuk-Datuk, Datin-Datin, and a famous singer,” says another tour manager. Well, even the “powerful” ones can’t exert any pressure to speed up their applications, what chances do I stand? All that I am concern now is how to minimize financial losses. 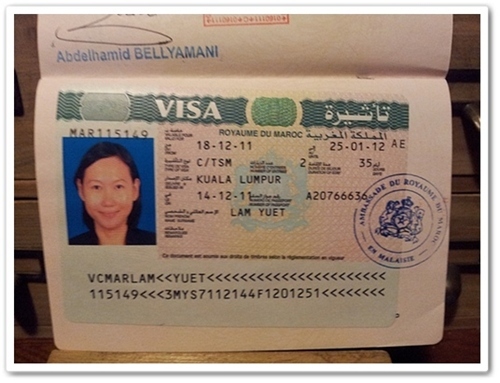 Morocco requires visa application to be accompanied by confirmed flight itinerary, so my sister and I have bought two round-trip KL-Casablanca (via Cairo) tickets online, with the departure date on December 18th , as the embassy assured us that visa would be ready by the 15th. No one then expected the system failure. As the flight tickets are special deal, any changes or cancellation involves heavy penalty. Even if my sister set off first and I reschedule the flight, I would have no clue when is the ideal departure date, as no one can say for sure when the system will be up and running. “May be we need not cancel the flight. Let’s just fly to Cairo as scheduled, and forget about the connecting flight to Casablanca, we will get a visa on arrival for Egypt and tour the country instead,” my sister suggests as we are leaving the embassy on Friday, I am still without a visa. “What if our baggage is delivered all the way to Morocco?” I ask. “May be we bring hand-carry luggage only…..” my sister says uncertainly, in her mind, she’s already thinking of how to travel light. “Yeah, why not we just stage a walk out while in transit, and let the connecting flight staff search for us high and low via the PA system,” I reply jokingly, but in the first place, without a Moroccan Visa, would the flight bound for Casablanca allow us to board? In addition, the Egyptian visa on arrival for Malaysian is only good for 14 days, but the gap between our landing and returning date is 32 days. “On the fourteenth day, we need to find a third country to exit via land for a few days, then re-enter Egypt to get another 14-day visa on arrival,” we are brain storming over a contingency plan. “What are Egypt’s neighbouring countries?” my sister asks. “I think Sudan…….Libya……and….” I am trying to call up a world map in my mind. “What are there to see in Sudan and Libya?” my sister is showing sign of concern. “Eer… refugees and war?” I blurt out. Well, at the end of the day, my month-long research on Morocco, my dream of staying in traditional courtyard hotel called Riad, my craving for Moroccan national dish named Tajine, all these evaporated into thin air. Today, I bade farewell to Morocco without even setting foot onto its soil, as I file a flight cancellation and refund request online, and email the Riad in Morocco to express my regret of no-show. Meanwhile, my sister and I are making new plan for Egypt, wish us luck! nice to read versions facing the same situation – yours in eng, your sis’s in chinese. happy journey. 🙂 just to keep friends posted on my whereabout…. such a regret with the incident but it’s a way to explore egypt therefore, good luck! Thanks for the well wishes 🙂 somehow, I have no regret in forgoing Morocco for Egypt, now is perhaps the best time to visit Egypt.